SecureVideo - Do you have recommendations for using smartphones and tablets? While we generally recommend using computers or laptops for their memory and processing power, it's a mobile world and people have many different needs. We thought we would share some of our solutions if you are primarily using smartphones or tablets, but need a stable way to hold them once you get to your patient. 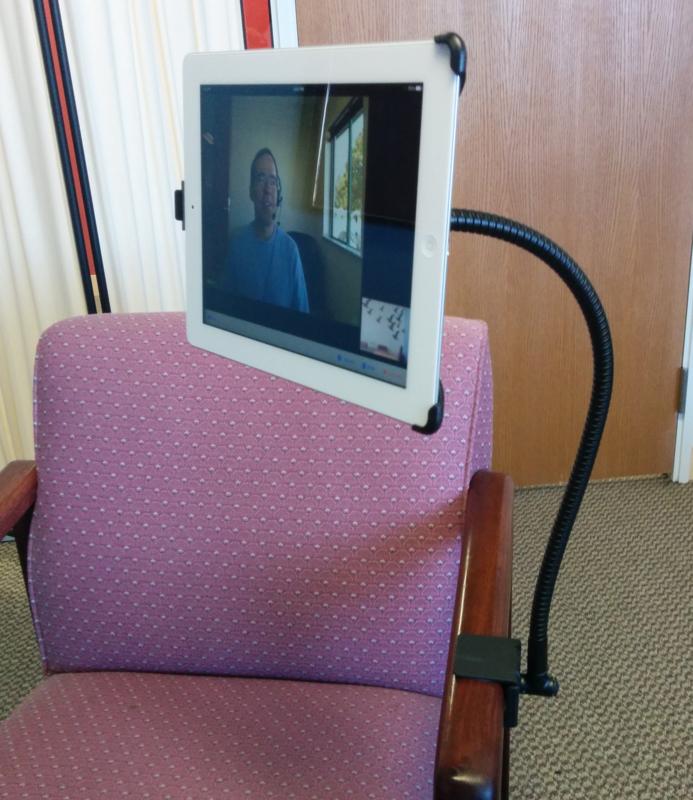 A quick and simple way to steady your iPad or iPhone for a call. 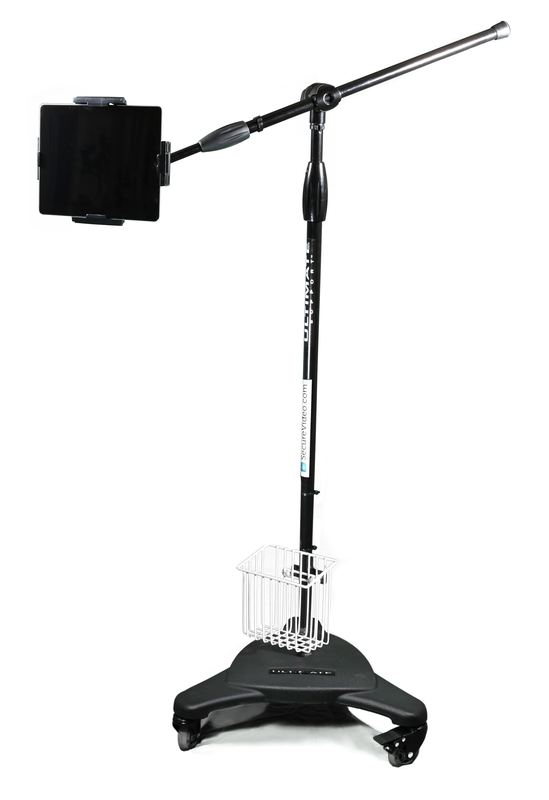 Affectionately called "iPad-on-wheels" in our office, this device is comprised of a wheeled microphone stand with adjustable boom (Ultimate Support MC-125) and a tablet holder (K&M iPad Air Holder), with a little basket to hold charging cords and any other accessories. Please contact [email protected] if you would be interested in purchasing one for your organization. This article was last reviewed by our Support team on April 8, 2015.